search across all associated sites. SharePoint administrators determine how many hub sites can be created in your organization and who can associate sites with each hub site. 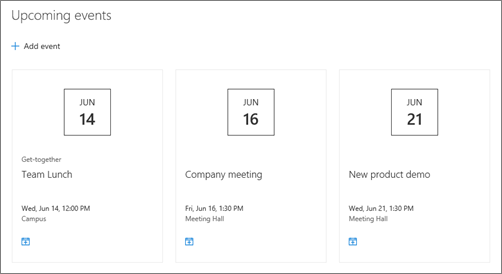 Sites associated with a SharePoint hub site will have a hub site navigation bar added to the top of the site, the look of the site and apply site design features such as additional navigation links, applications, or custom lists with specific columns. For help planning hub sites, see Planning your SharePoint hub sites. You must be a SharePoint administrator to create a SharePoint hub site. Site collection administrators, however, can associate a SharePoint site with a hub site that already exists. Sites created by clicking the Create site link in the top right corner of a hub site will automatically be associated with that hub site. 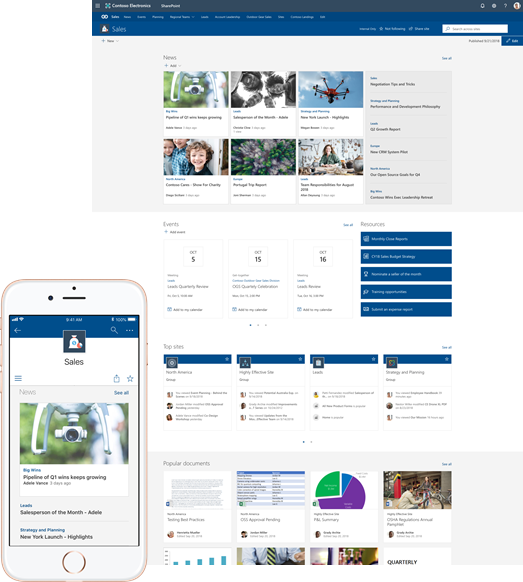 You can access your hub site from the SharePoint home page or on the go with the SharePoint mobile app. At the top of a hub site and any associated sites, above the site navigation, is the hub site navigation bar. If you are the hub site owner, you can customize this navigation bar with links that make sense for your hub site and associated sites. 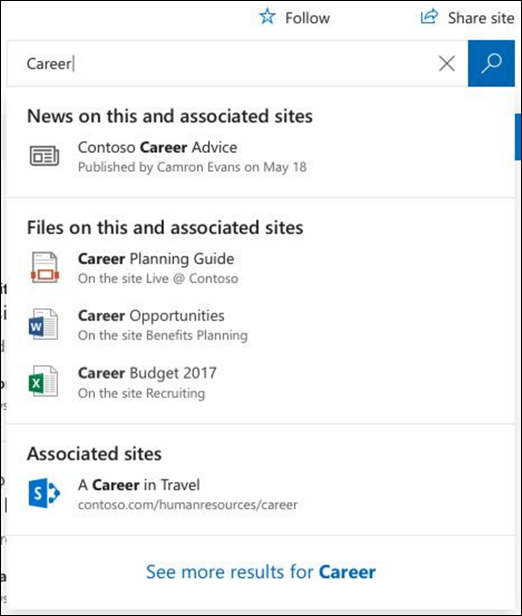 When you search from a SharePoint hub site, content on the hub site itself along with content on any associated sites is returned in the search results. Users will only see content for which they have access to. When a SharePoint administrator creates a hub site, they're essentially converting an existing SharePoint site to a hub site. A hub site navigation bar appears at the top of the site, but the home page and all site content remains the same. News published on a hub site and on any associated sites is automatically aggregated and shown on the home page of the hub site by using the News web part. You can choose which associated sites display news on the hub site home page and users will only see news for sites they have access to. Clicking on a news article link takes you to the site on which the article appears. Display the most active sites associated with the hub site on the home page by using the Sites web part. Use the Highlighted content web part to dynamically display content from sites associated with the hub site on the home page. Use the Events web part to dynamically display events from sites associated with the hub site on the home page. Sites associated with a SharePoint hub site don't inherit the permissions of the hub site or any other sites associated with it. Each site, including the hub site, will retain their current permission settings. You can create a new site that is automatically associated with your hub site by clicking Create site in the top right corner of the hub site. 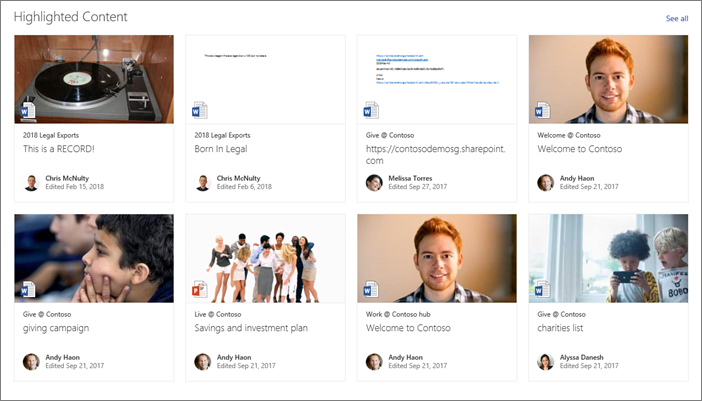 Ready to create a SharePoint hub site or associate a SharePoint site with an existing hub site?